Hello there! 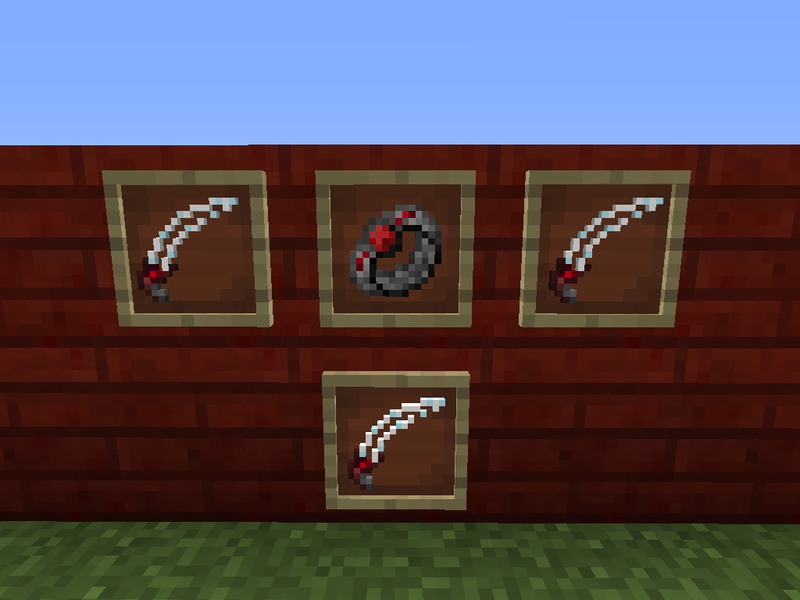 My name is Arcaratus and this is Blood Arsenal, an addon to the Blood Magic mod! Blood Arsenal adds in a whole variety of different tools and mechanics to supplement and enhance a player's Blood Magic experience. 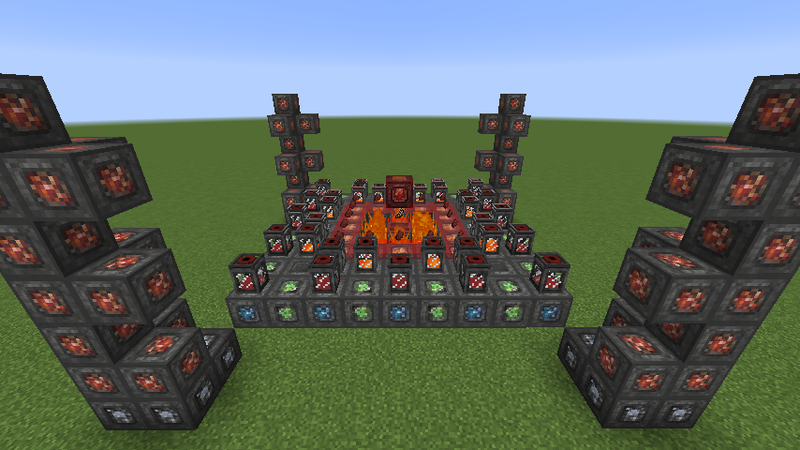 It should be noted that like Blood Magic, all recipes can be viewed using JEI (Just Enough Items). Tired of the standard linear beginnings of early Blood Magic? 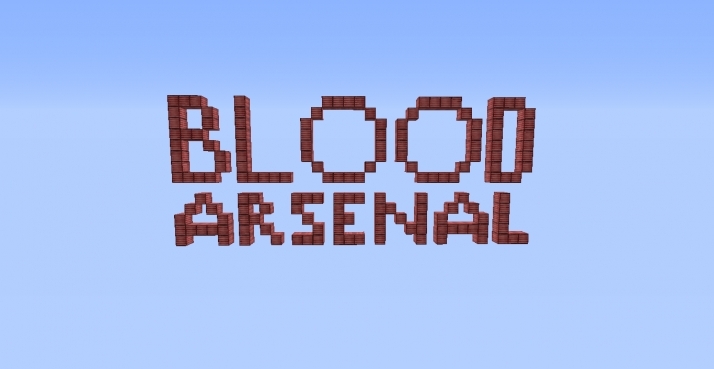 Blood Arsenal adds in a few nifty tools and toys to make early-game Blood Magic a bit easier! To start, once you obtain the Tier II Blood Altar and the Apprentice's Blood Orb, you can go ahead and break some Glass with Flint in your hand to get some Glass Shards. If you notice carefully, you might bleed just a slight bit! Bleeding is a status effect that will take a chunk of your health randomly for as long as you bleed. The amount that you lose is also random, but is related to the strength of the Bleeding effect. Don't fret about losing too much life at the Blood Altar though! 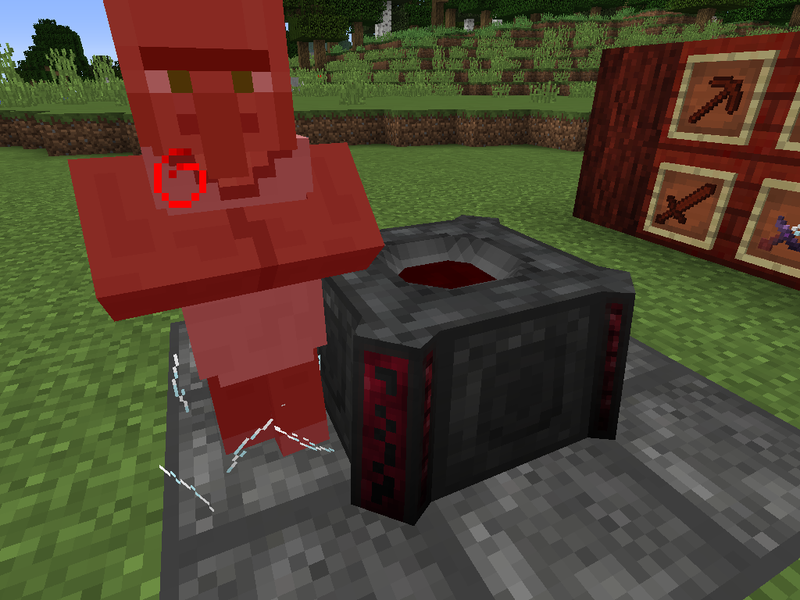 If you (or anything that's living) bleed near a Blood Altar, a certain amount of the lost life will be dropped in as LP. No sense in wasting perfectly good LP! A bit drained from all the sacrificing? Need something to get you back up on your feet? NEED SOME SUGAR???!!! I gotcha covered! Blood Arsenal has its very own Blood Oranges, made organically from Orange Dye. Simply toss it into an Altar, let it absorb some LP, and you get a rather refreshing fruit that has a good chance of giving you Regeneration! 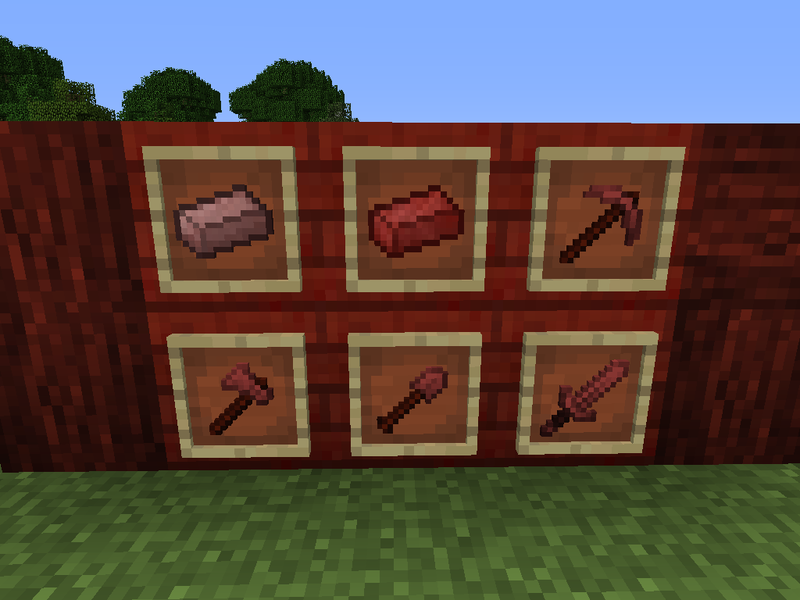 Blood Arsenal adds in plenty of tools, such as the starting Blood Infused Wooden Tools. To get them, simply place a log (any log will do) into a Tier II Blood Altar with 5000 LP to get a Blood Infused Log. 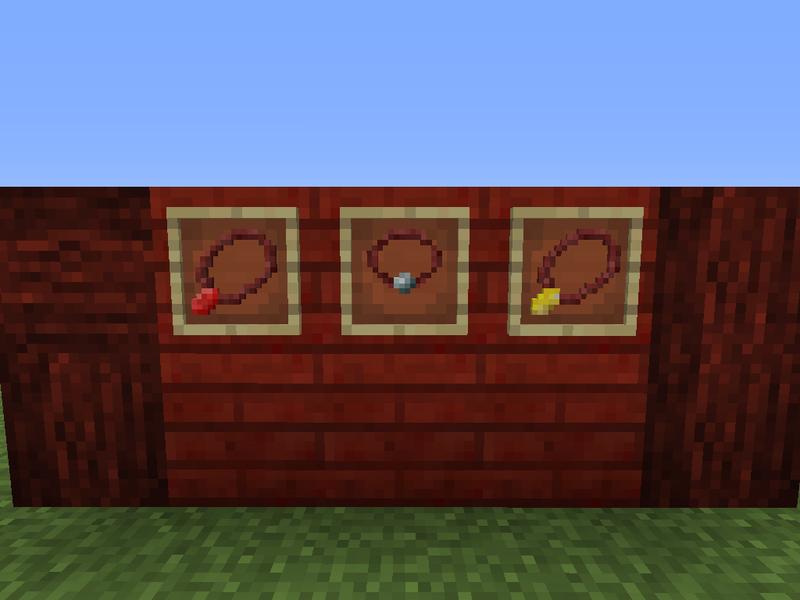 Blood Infused Wooden Tools are quite handy and useful for early game players who don't want to keep replacing their broken tools. The material (Blood Infused Wood) that they are made up of is living and regenerative, and the tools themselves will "grow back" and repair themselves using the holder's Soul Network and a small LP cost. The tools themselves are overall better than stone and up to par with iron. Glass can be quite dangerous. Thankfully, you can utilize that to your advantage, so long as you're careful! 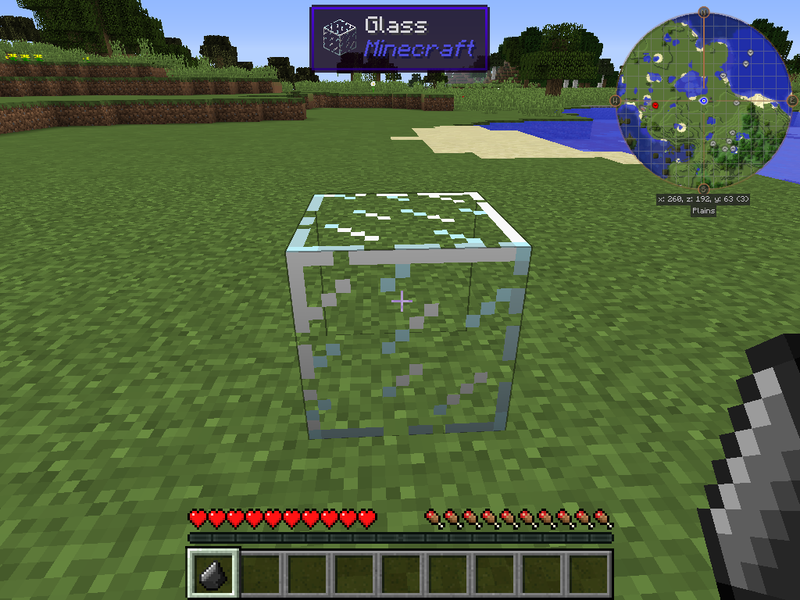 Glass Shards can be combined to create a block version that is useful for traps, automated LP collection, and just in general, any place where you need some spikes! If you're ready to progress down the line of Blood Magic and Blood Arsenal, set your sights on Blood Infused Iron! 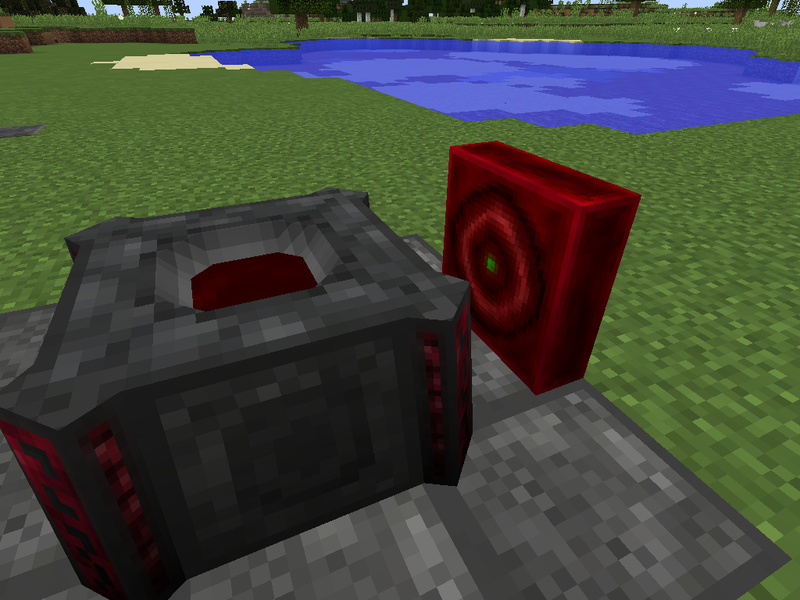 This material is quite a step up from Blood Infused Wood, and the tools are much stronger, and regenerate much faster than the previous tier. Do note however that the costs are also higher than the previous tier. 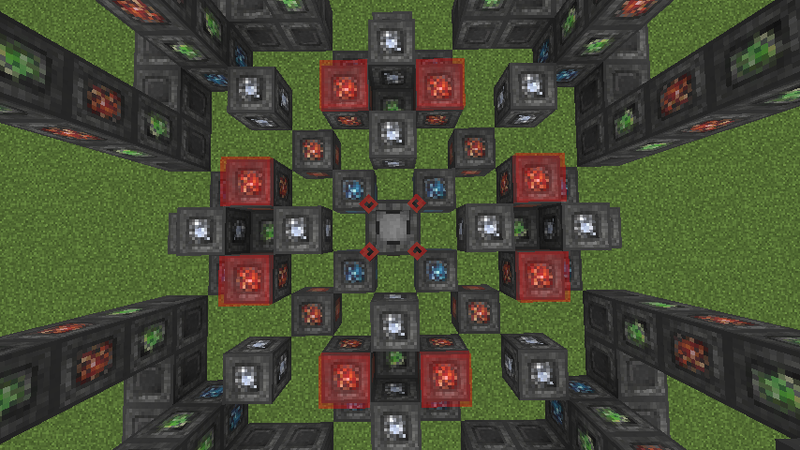 Decoration and aesthetics are always a fundamental part of building and design, and Blood Arsenal offers a few cool-looking blocks that go well with a Blood Magic themed build. 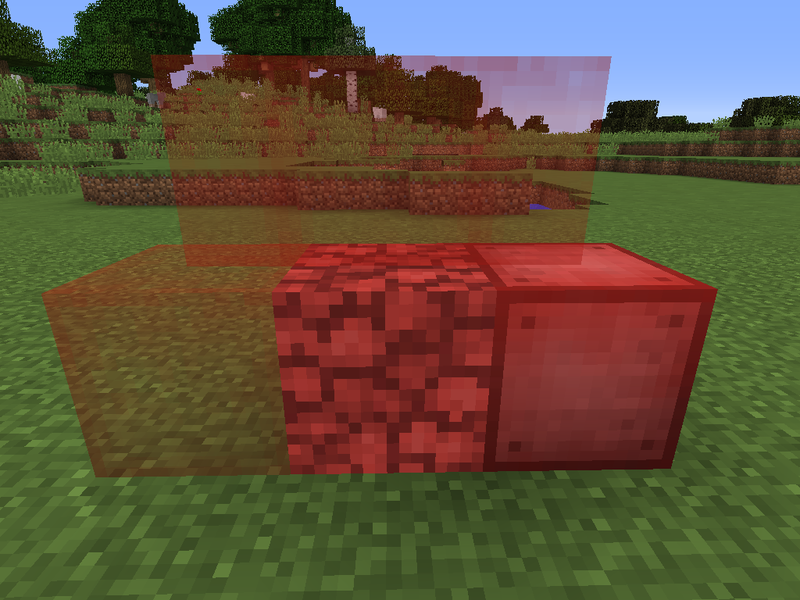 As of now, there is Blood Infused Glowstone (which can replace the Glowstone blocks of a Tier III Altar), Blood Infused Iron Blocks, and Blood Stained Glass/Panes along with the previously mentioned Blood Infused Wood blocks. 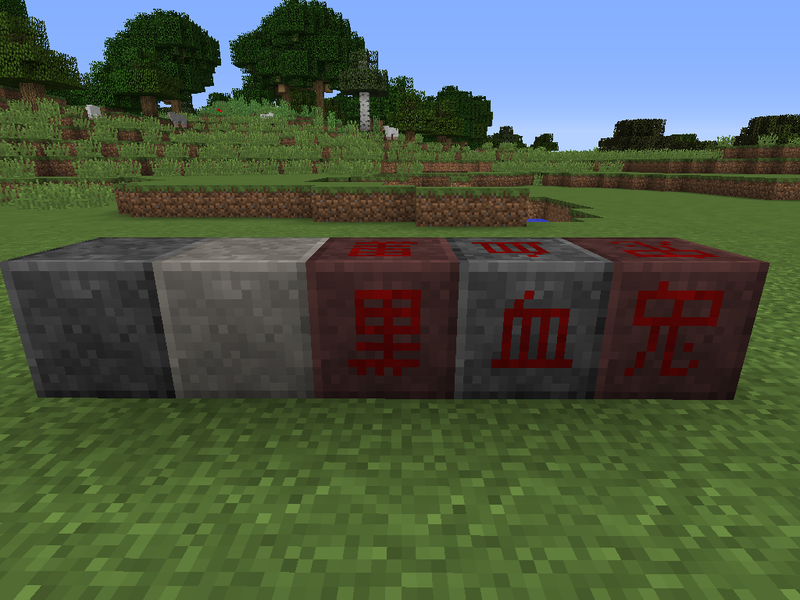 There are also blocks for compressed Slates. Sigils are the most useful tools available, and Blood Arsenal adds in more! 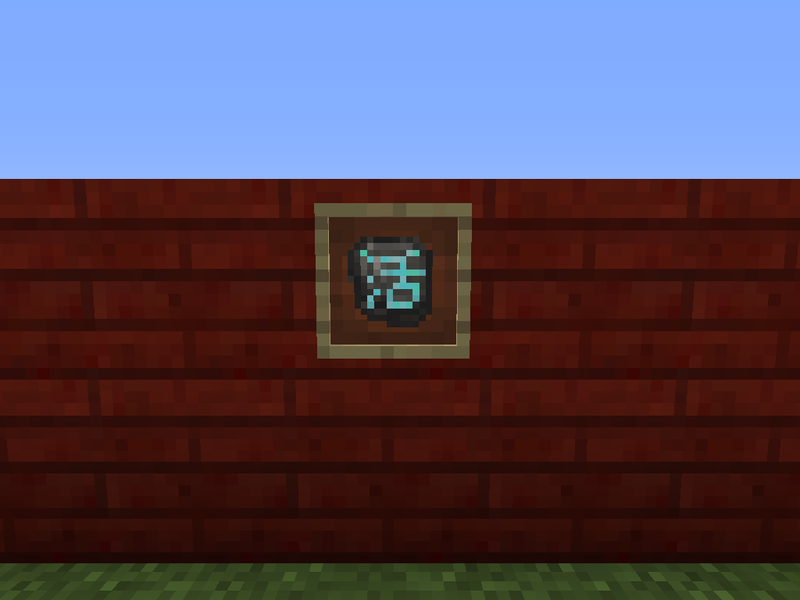 Ender Sigil: Perhaps one of the most handy Sigils yet, this Sigil allows you to access your Ender Chest simply by right-clicking in thin air. But that would be pretty stupid if it only did that! 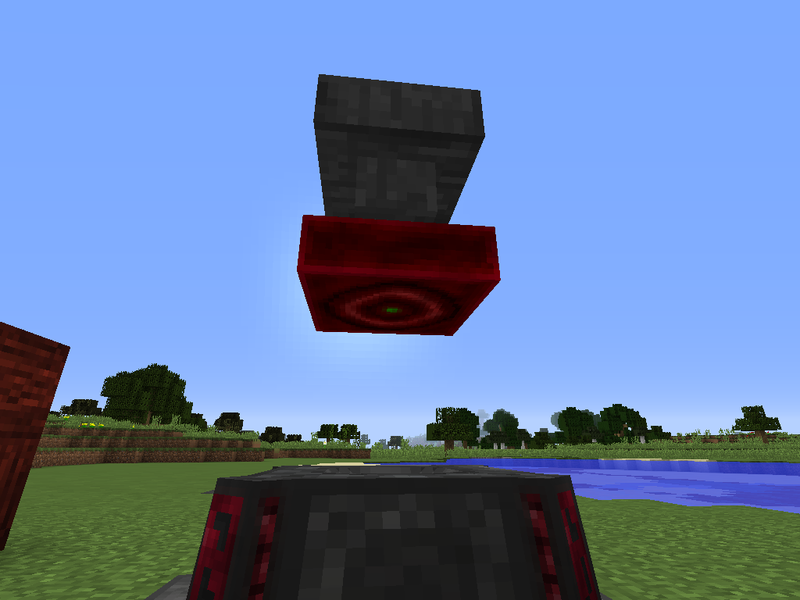 Now now, the Ender Sigil's true capability is the ability to teleport the user at whatever they are looking at, just as an Enderman would! Simply shift-right click while looking at a block in the distance, and voila, you're there! That eye is not just for show! Lightning Sigil: Ever wanted to summon lightning wherever, and whenever you want? (Idk why but you do you) Now you can! With the Lightning Sigil, you can point-and-click to spawn lightning wherever you want with a decent amount of LP! But wait! The fun doesn't stop there! Shift-right click on this magical piece of stone to switch tiers which in turn changes how much lightning rains down from the sky. Disclaimer: I am not responsible for any destruction that results from the poor decisions made while using this. Sigil of Divinity: God-mode achieved! 'Nuff said. Wait a minute... there's one more Sigil! This Sigil is pretty complicated to describe, so instead of spending a long paragraph doing that, you can watch this self-explanatory video instead! 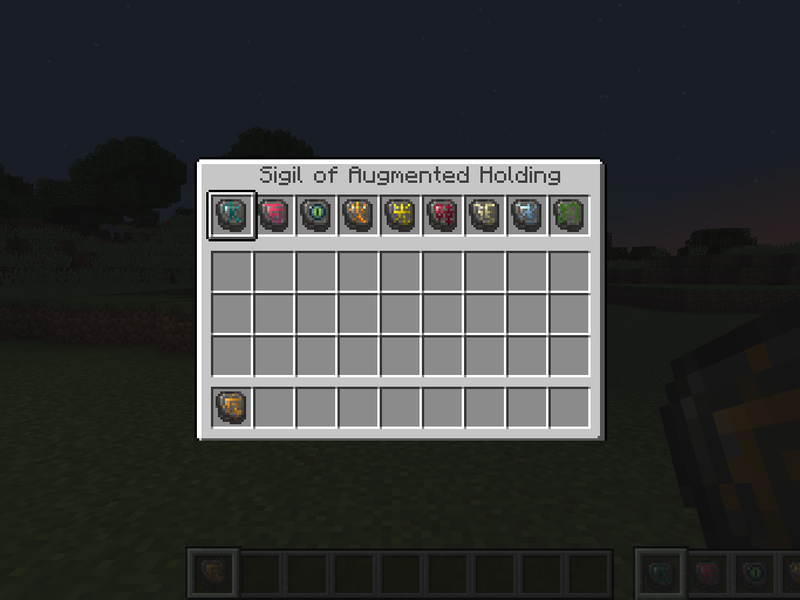 Opening the GUI will yield a pretty complicated arrangement of slots. First and foremost, an Orb that is bound to the player must be right-clicked on the block itself to be bound to the player. 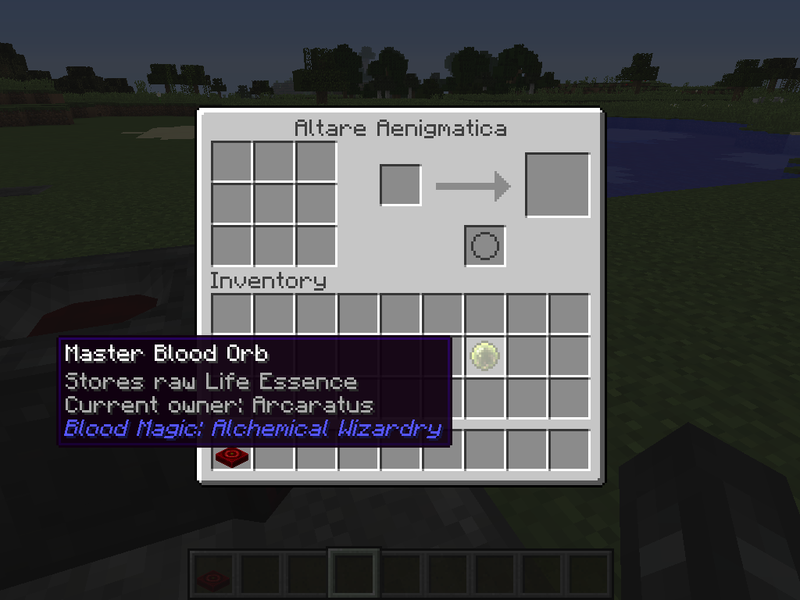 Next, put the Orb into the Orb slot of the Altare Aenigmatica. 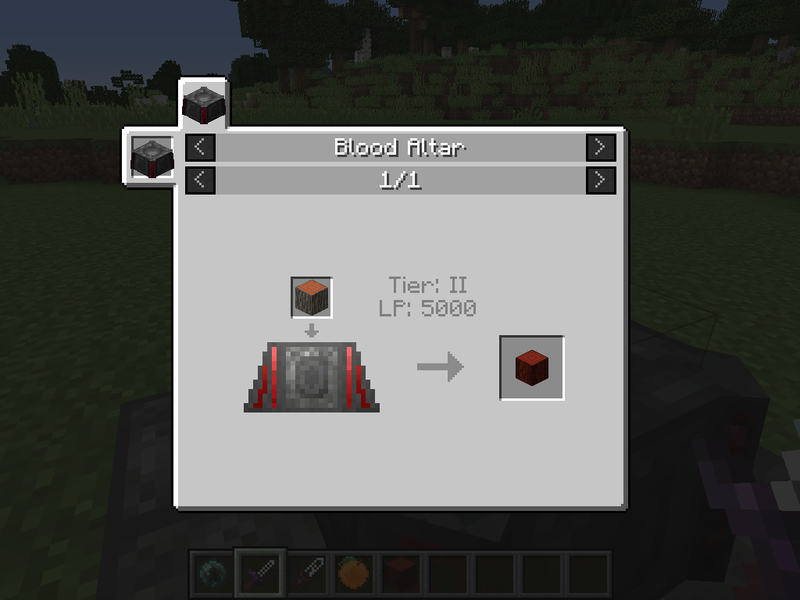 Now, any item you want to have crafted inside of the Blood Altar will go into the 9 slots on the left. 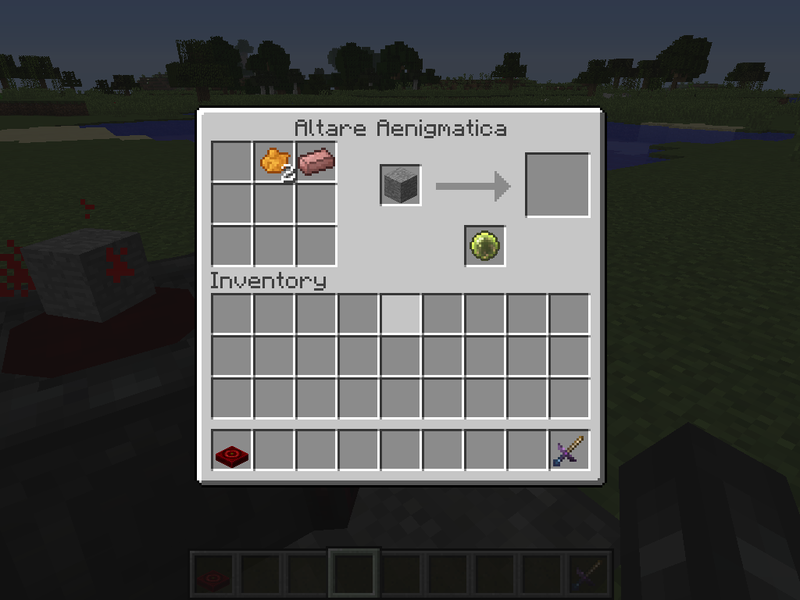 The current items within the Altar will be displayed within the Altare Aenigmatica's GUI. There's a few nifty rituals in Blood Arsenal that do a handful of things! The ritual is used to create Stasis Tools which are extremely powerful and adaptive tools that can be modified with a series of different modifiers in the ritual. Ritual of Purification: This ritual helps purify mundane Life Essence down into Refined Life Essence, a liquid that is much more potent than Life Essence. This ritual requires Stasis Plates, and purifies Life Essence into Refined Life essence in a 10 : 1 ratio. 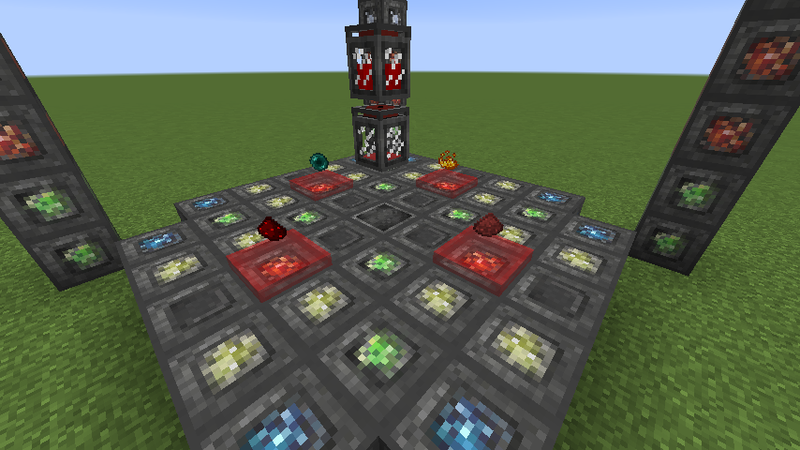 Redstone, Blaze Powder, Ender Pearls, and Blood Infused Glowstone Dust are also required. The top tank must contain Life Essence, while the bottom must either be empty or contain Refined Life Essence. Note: the ritual will continue to purify liquids as long as the correct inputs are present. Blood Burner Rites: This is an extremely powerful ritual with seemingly limitless potential. 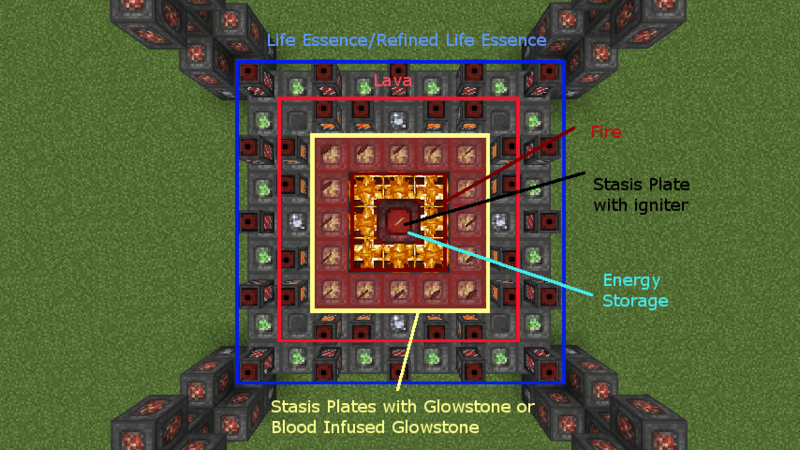 It takes in liquid life essence (normal or refined) and combines it with glowstone and lava to create energy. The spaces where Blood Tanks and Stasis Plates are do not necessarily have to be filled. However, they are the only places where the ritual will seek and consume the necessary ingredients. A central stasis plate with an igniter of some sort must be present. The fire next to the Master Ritual Stone is required! An energy storage block of any kind must also be present above the igniter. The Blood Burner Rites will consume one unit of every ingredient provided. That means that for each Blood Tank present, it will only consume 1 bucket of the liquid inside, and no more! Even if you have a tank with more than 1 buckets worth of fluid, it will only consume a bucket per cycle. The same goes for the glowstone. The Blood Burner Rites will also continue cycling as long as the proper inputs are present. 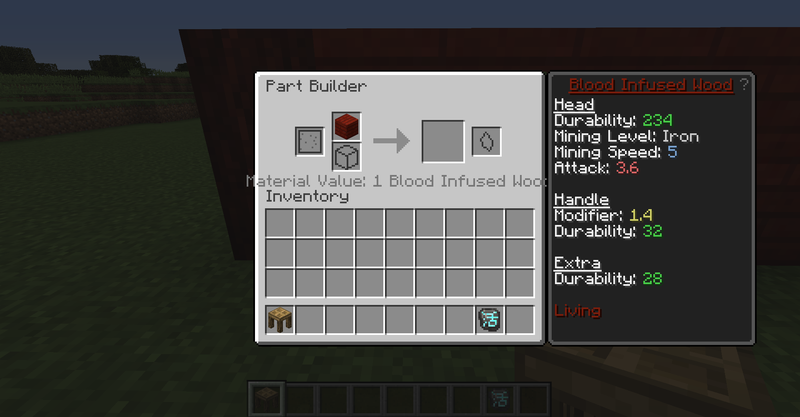 Blood Arsenal has integration with Tinker's Construct adding in Blood Infused Wood and Blood Infused Iron as tool materials! Sentience: First level will make mobs drop Will. 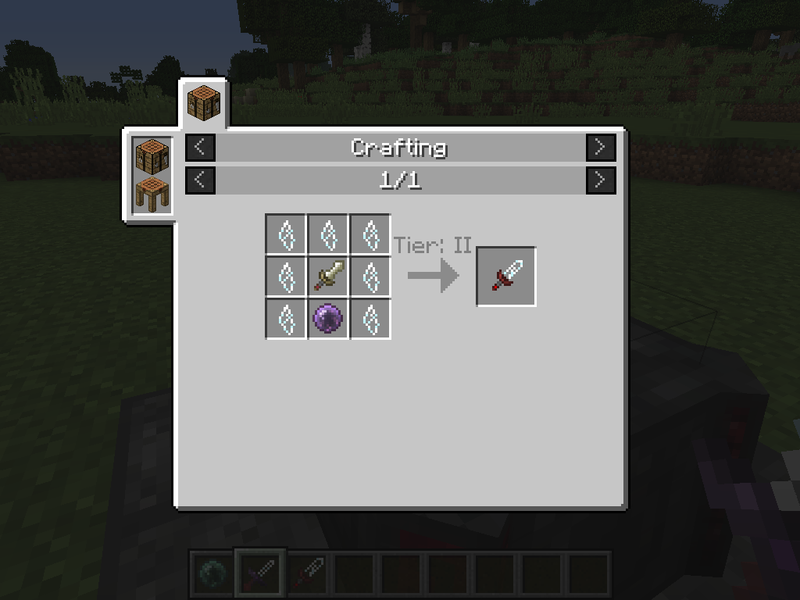 Second level will add the Sentience modifiers to the tool with higher levels. 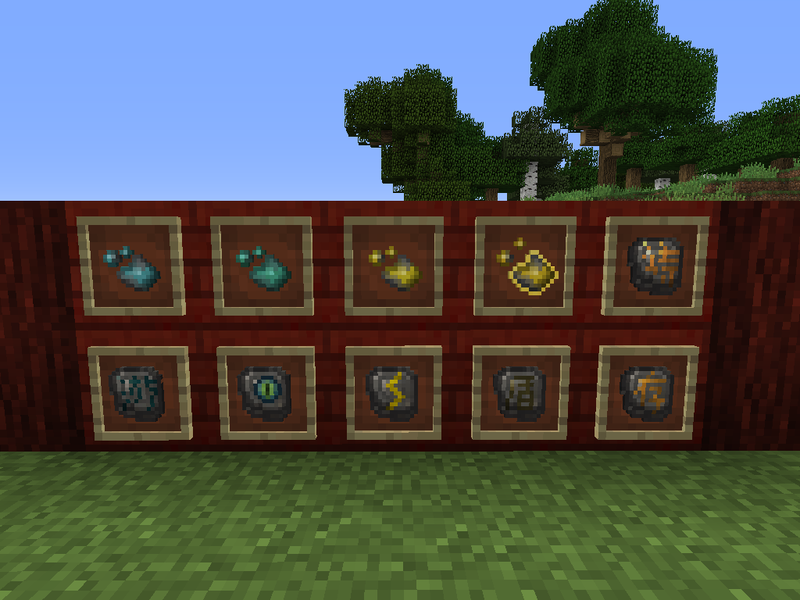 Much more is planned for this mod, I just need to get around implementing the ideas! Yes, you don't even need to ask! Where can I ask questions or suggest content? You can ask questions right in the comments section, or go down and use one of the methods listed below to contact me. The same can be said for content suggestion, although you can also create a new GitHub issue for content suggestion! I am a regular contributor to Blood Magic, and I also dev Sleep which is a really small mod that simply gives regeneration to players after sleeping. Can I suggest more questions for this section? Please do, as I have finally run out of things to write! 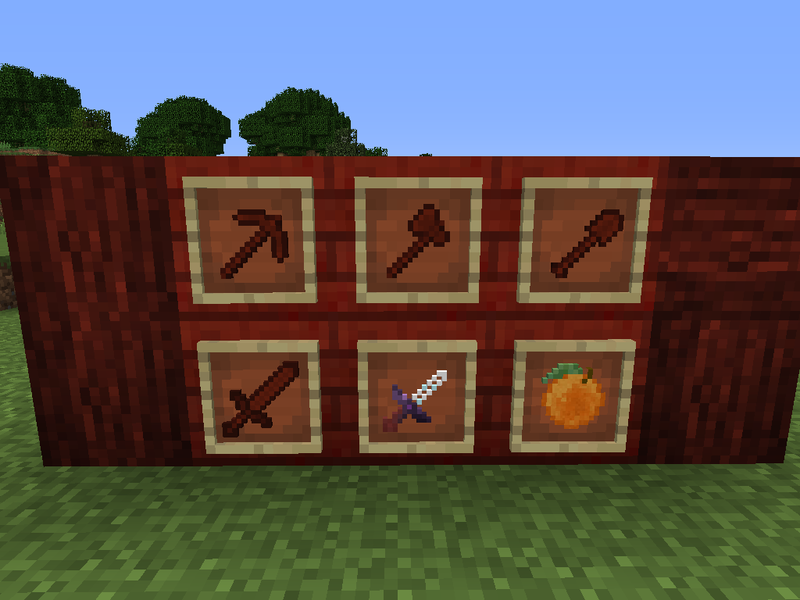 Twitter: I post updates on whatever I'm working on, and sneak peaks of this mod as well! GitHub: Here's all the source code for this mod! Patreon: In the unlikely event that you managed to scroll all the way down here and you wish to help contribute to my work, here it is! 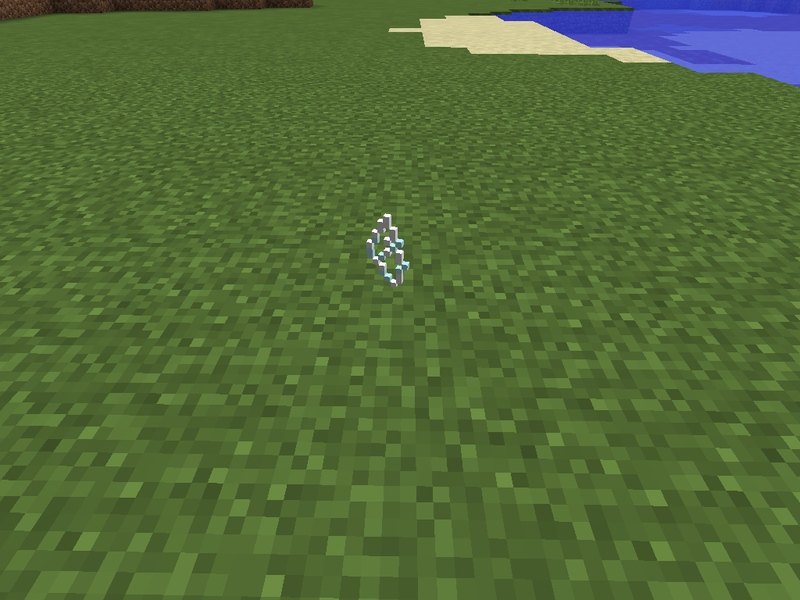 There really needs to be some kind of notice posted somewhere that the upgraded sacrificial dagger in this mod prevents gravestone mods from working properly. I know it has been reported as a bug in the past, but it's still not fixed....or it is happening again. You lose all your items if you die by your dagger. Which gravestone mod? There might be discrepancies with how each mod handles dying so I'll have to do some research to see where things are going wrong. 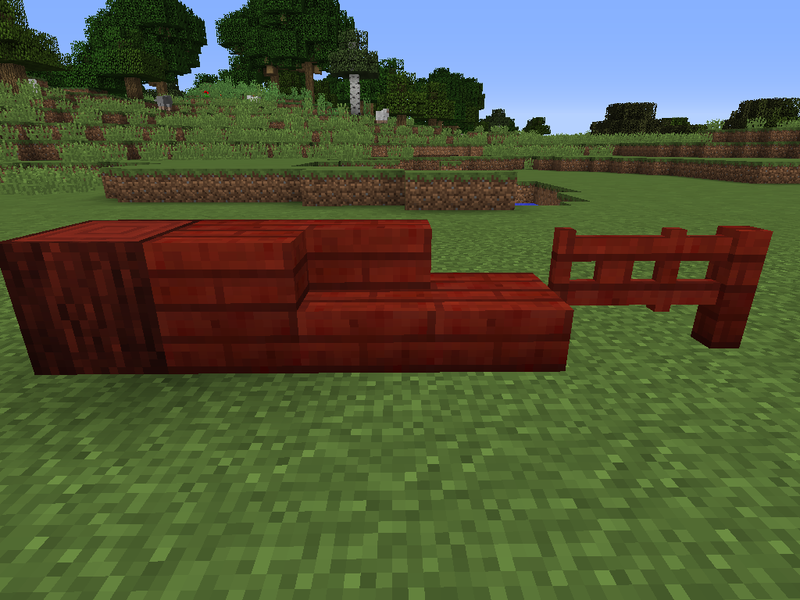 I have not tested it with the Open Blocks grave...but I assume it works the same way. Dying by the regular dagger produces a grave containing items as expected...Dying by the upgraded dagger from this mod leaves the grave empty and all your items are gone forever. Actually this isn't an issue with grave mods exactly. (I thought the same before but noticed today when looking at some stuff to see if I could fix it that there is a chance of your items being cleared on death if you died to glass or bleeding. I made a pull request that adds a config option for this "feature" https://github.com/Arcaratus/BloodArsenal/pull/149 Given I think pack creators would often want to disable this feature. Even after placing the appropriate number of items for a weapon enhancement upon the stasis plates on the infusion de sanguine, with a stasis blade in the middle in the blood altar, the ritual doesn't do anything once activated. None of the stasis plates change from "stasis: false", but the ritual doesn't register as deactivated. I've been unable to find any helpful documentation, and though I was able to make the blade itself, it really isn't quite useful without any of the augments. Are there plans to add documentation, and could you explain how the ritual is meant to work more in depth here in the meantime? Will the support for TiC come back? Not sure if you consider it to be within the scope of blood arsenal, but in addition to the blood infused wood/iron TC integration, would it be possible to add a material or modifier that would allow TC weapons to drop demonic will? WAILA isnt required, is it? i noticed it was listed as a dependency, but its not yet up to 1.12.
im also noticing the ritual of purification requires two tanks. is any mod in particular required in order for this ritual to work? WAILA is a soft dependency meaning it isn't required. The Ritual of Purification can take in any two tanks from any mod (including Blood Magic). Hey! I love this project and it is the best add on for Blood Magic. Are you thinking of adding integration to Tinkers’ anytime soon because it’s been saying it’s a WIP for a while. Keep on keeping on. Yep! It's definitely on the to-do list when I have time to get around to it. I have a Crash since the last Blood Magic update. I have the same crash. I'm having this issue as well. Will need to be disabling this mod for now. This has been fixed in the latest version. 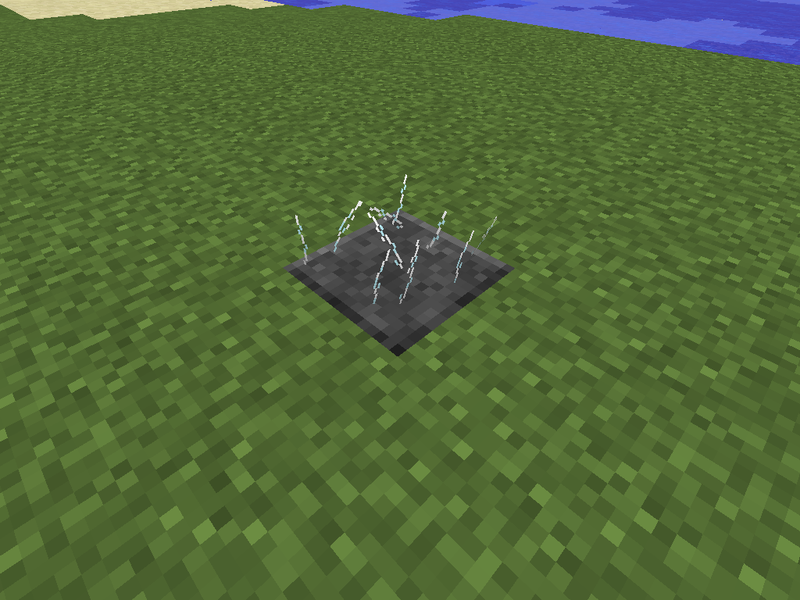 I ran into a issue with the ender sigil yesterday. I went Through the map the second i grabbed it when it was created. Of course i wasn't in creative and lost everything but i think you should know that issue so no one else happen to lose all their gear in a fraction of second lol. 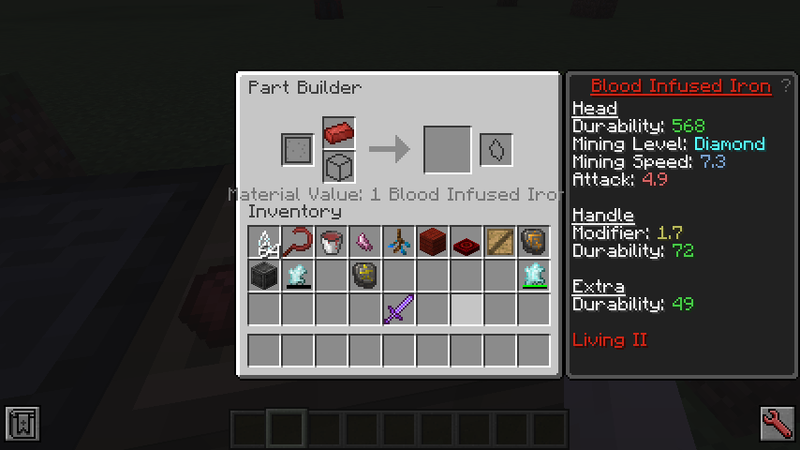 Fixed in the latest Blood Arsenal version.